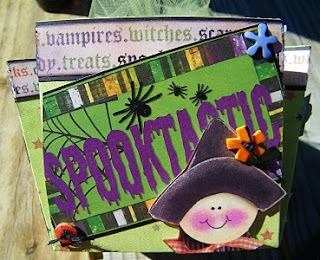 Get your Score Pal or other scoreboard out, a piece of double sided paper and let's make a fast and easy candy box. Take your paper and score on the 4" and 8" score lines of your scoreboard. Turn the paper and score again so you form intersections on your paper. On each corner, score diagonally to the corner of the center square. 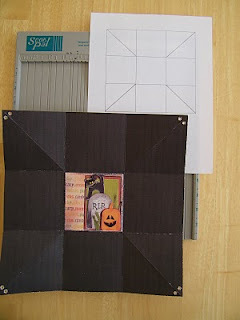 Fold sides in to form a triangle shape toward the center of the paper, do all four corners. Finally, punch two holes on each corner so you will be able to tie them together after you have your box decorated. Once this is done, lay the card stock down flat and decorate the inside square, it will be a fun surprise when you candy is all gone. 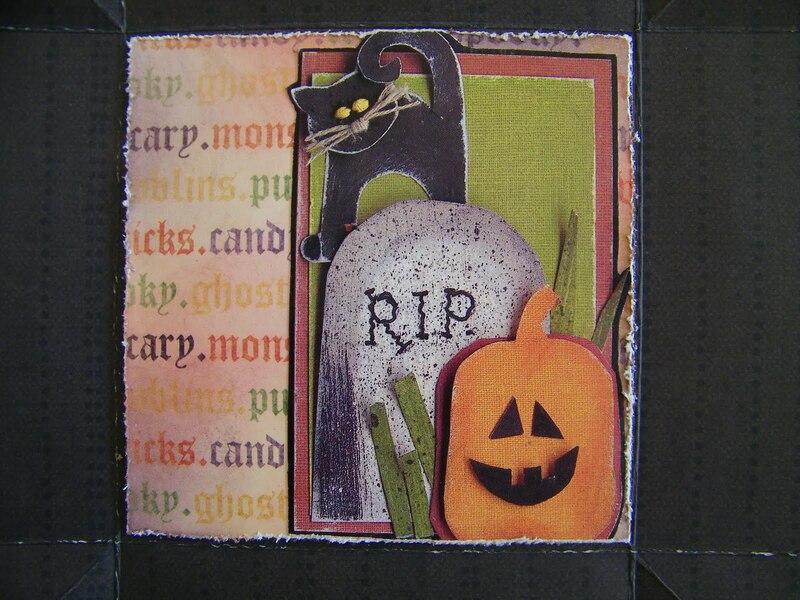 I also took 1'' strips of paper and added to the top of my paper to form a border. 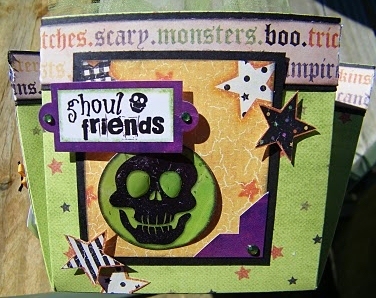 Decorate each side with your favorite papers, stickers and embellishments. 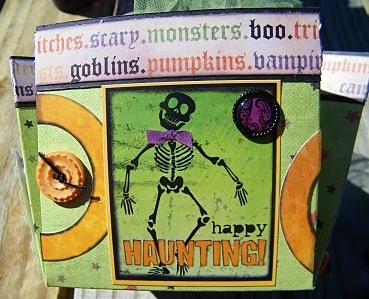 I used Bo Bunny Halloween and My Mind's Eye paper, stickers, and embellishments to decorate my box. Don't forget to maybe added a few buttons, brads and epoxy pieces to your box. Maybe even a bit of bling and place some of your pieces up on pop dots. Lastly, remember to tie it together with some fun ribbon and add your candy. 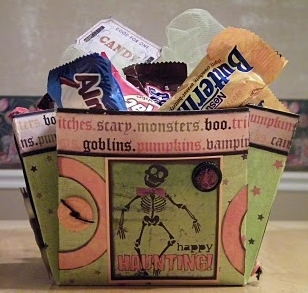 I hope you give it a try and make yourself or someone else a fun Halloween candy box. Remember you can make these boxes for any holiday and because we have tied them at the top, after the holiday just untie them and store them in a page protector to keep them clean and fresh until the next year. Hugs Pammejo.